One-on-One Care, In the Home. Seniors want to stay in their own homes. We help make that possible for our clients. Our award winning care programs make us the logical choice for your loved ones. Reach out to us at any time without ANY pressure to learn more about our services. Struggling with caring for an aging loved-one? 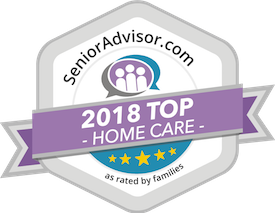 "I searched Raleigh Home Care companies and settled with Affordable Family Care Services because they seemed to be the match I was looking to find for my needs. I’ve used Affordable Family Care Services for the last 4 years and I could not ask for better service or price. I searched and compared other agencies but they really stood out. I know the office people, even talk with the president every month as he calls me asking how everything is going. They really have been a blessing to me and helped me stay at home instead of going into an assisted living or nursing home. I would highly recommend Affordable Family Care." "I was using another Home Care agency in Raleigh and needed to increase my hours so my daughter happened to call Affordable Family Care. They came out to meet with us at no charge, told us about their programs and I was shocked at the amount of money I was able to save with this company. I use lots of hours per week and I was able to save $1400 per month when I switched to Affordable Family Care. The aides I have are fantastic and we see a nurse every 90 days, plus we get all this individual attention from the office staff and we even talk with the president every two weeks. This is a first rate agency. I am a pastor and intend to tell everyone about this wonderful company." "I have used numerous Home Care agencies over the years with my mother. She requires 24 hour live in service and I found Affordable Family Care in 2006 and have used them since. I get a great rate and the staff is fantastic. I can call and speak with the Director of Clinical Services Nurse anytime or the president who I speak with at least twice per month. I would recommend Affordable Family Care to anyone needing Home Care."